S.K Fire Resistant Shutter is constructed, tested, and installed according to the local standards certified by SIRIM Berhad Malaysia and Bodycote Warringtonfore, (AUS) Pty Ltd. In the event of fire, the fire resistant shutter will automatically close down and this will slow and prevent the spread of fire. By keeping the fire contained, the fire resistant shutter may allow more occupants to safely exit th building during emergency. It will also help to protect property and assets while firefighters work to put out the flame. 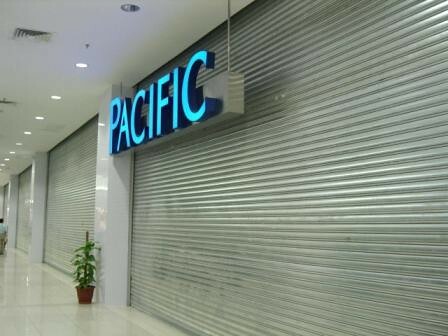 S.K Fire Resistant Shutter is ideal for commercial, industrial and residential where fire protection is required. It is largely deployed in Factory, Machinery Rooms, Hospital, Schools, Hotels, Council Buildings, Record and Document Stores, Dangerous Goods Stores, Shopping Malls and etc. 4. No failure and still functional after 310 minutes fire. Zincalume Steel, Galvanised Steel, Electro Galvanised Steel, Prepainted (Colourbond) Finished or Optional Powder Coating. Automatically closed down on receipt of a fire signal where fusible link and DC 24V relay are used. The relay will then trigger the door to close down.